It seems like Coktel Vision used the ADI CD-i school range to include some CD-i demos of games like Inca and Gobliiins. Coktel released four volumes on CD-i, who knows other games will show up like Eco Quest I, Eco Quest II, Lost In Time, Inca II? It's not the first time french CD-i titles hold secret CD-i games. 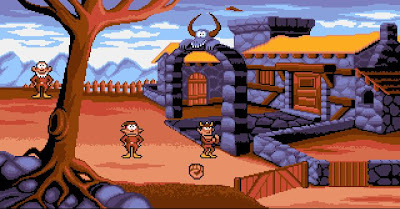 A few years back Omegalfa discovered 'Un Indien dans la Ville - Le Jeu' inside the Video CD version of this movie on CD-i. It seems like before these titles weren't popular by collectors to pick up, but we didn't know what we were missing! I'm sure Gobliiins on CD-i would have sold on CD-i very well as games were notorious trail blazers when it came to CD-i wares. Assuming the full game of Gobliiins is playable then it's difficult to understand why Coktel Vision didn't do an English translation and release it as a stand alone! 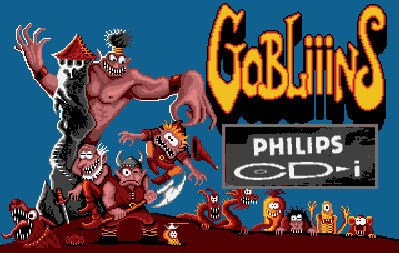 Alan is playing Gobliiins on CD-i right now: "Once you've obtained enough points (studying) all levels of Gobliins will be playable. I think there are around 9 to unlock. The sound effects are good (one of them is a magician, the other can use objects and the 3rd seems to punch things)." The game engine for Gobliiins remained the same from the original right through to the third installment, also includes INCA II. So it might not have been that difficult to port over the other games considering we have the original Gobliiins in playable form on this ADI CM2 CD-i disc. So maybe, just maybe other ADI wares contain the other games! 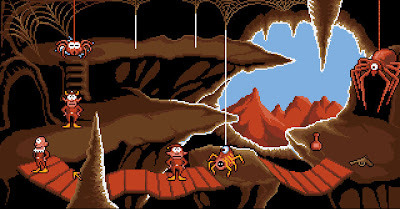 The screenshots you find here are taken from the Amiga version to give an impression for you who don't know Gobliiins! Thanks to Alan for this news!